Rentacheapie Car Hire has been going for 12 years in Cape Town, operating out of Paarden Eiland and serving the community. They have a predominantly foreign client base in summer but you will see their cars all over the show in winter, too. They are our favourite local choice of rental cars when it comes to price, and their customer service is tip-top too. Cape Town is a competitive place for car rentals – mostly in summer – and there are so many options to choose from, so you will want to do your research. From the little I did Rentacheapie seemed to be the best for price, and when I strolled in there – back in May/June – for a rental option I was surprised at what good quality I saw. I figured they would all be Golf Chicos (and klapped out ones at that) and also cos you see those all over the place in the city. However, they have a huge range and many are out of my price range. 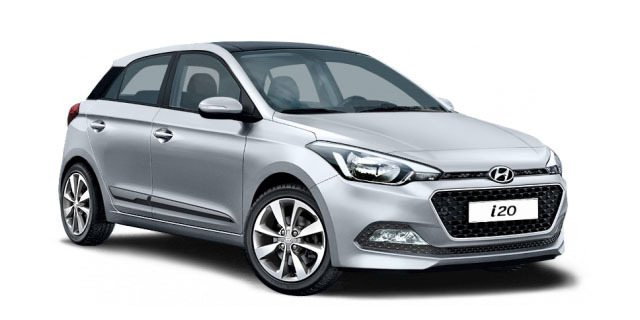 Certainly the cheapest was the Chico but the Hyundai i10 or i20 was a bargain price too. I opted for a Polo to impress my clients and was treated really well. A week later I was back again and my car looked better than ever, so no problems with scratches etc etc. Nowadays to buy a car, pay for insurance, watch it depreciate, and have to always hassle for parking has really made me think perhaps it’s time to switch to MyCiti busses and Ubering around Cape Town, with the occasional rental car trip thrown in for times when I need it for a week of work, like this time I went up the Garden Route. All in all, for your most affordable car rental I would highly suggest Rentacheapie Car Hire for their price and service. All the rest seems to be much of a muchness with these big rental car companies, so I would focus on those two factors.